Not long after Tammy Lynn Cain, 36, was busted for allegedly shoplifting, she told a Woodhaven Police officer that she thought she "wouldn't get caught" because she had her 11-year-old daughter with her. Cain was wrong. The Romulus woman was first spotted by Walmart security slipping two containers of eyes hadow and a bottle of hair product into her purse with her daughter right next to her. 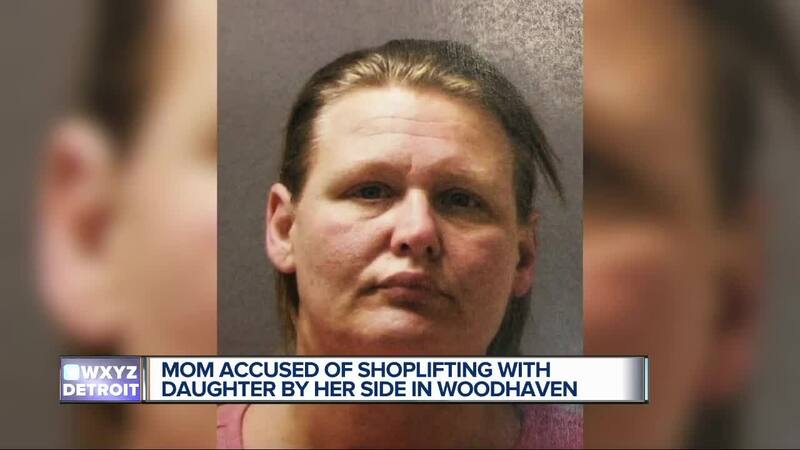 WOODHAVEN, Mich. (WXYZ) — Not long after Tammy Lynn Cain, 36, was busted for allegedly shoplifting, she told a Woodhaven Police officer that she thought she "wouldn't get caught" because she had her 11-year-old daughter with her. The Romulus woman was first spotted by Walmart security slipping two containers of eyes hadow and a bottle of hair product into her purse with her daughter right next to her. When Cain got to the cashier, she only paid for some grocery items and walked out, according to Walmart employees who detained her until police arrived. Cain was allowed to contact a relative to pick up her daughter from the store, and she was taken to Woodhaven Police where she was cited with Retail Fraud. Police say Cain also had multiple warrants for her arrest and a suspended license. Click on the video to see Kimberly Craig's report on Cain and her alleged crime.